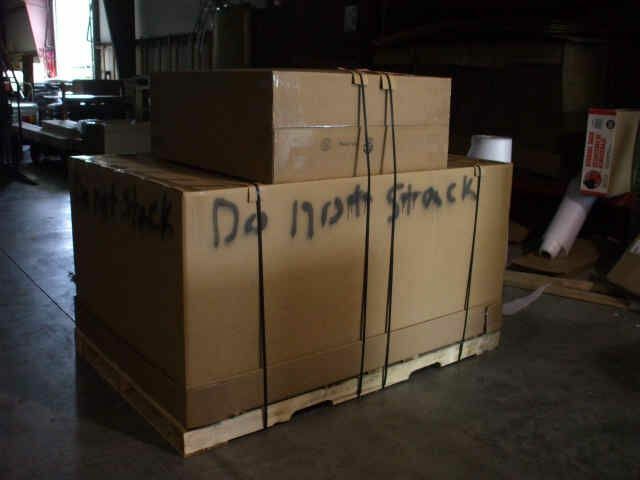 Have us quote a shipment to your door by calling 800-600-7671. Our flat rate shipping fee are only for business addresses or pick-up at a freight terminal. You're shipping options include a business address (with fork lift or loading dock), terminal pick up, or residential delivery (with lift-gate). Shipping weight and dimension information. If a cooler pkg. is shipped it is "usually" banded on top of the camper crate and dimensions are 42"X39"x18" and weight is 40#. The dimensions of the trailers alone when shipped (without cooler packages) are 69"x48"x39" and weight is 450 ponds. If a cooler package is on the frame then the dimensions are 104"x48"x39" at 500 lbs. 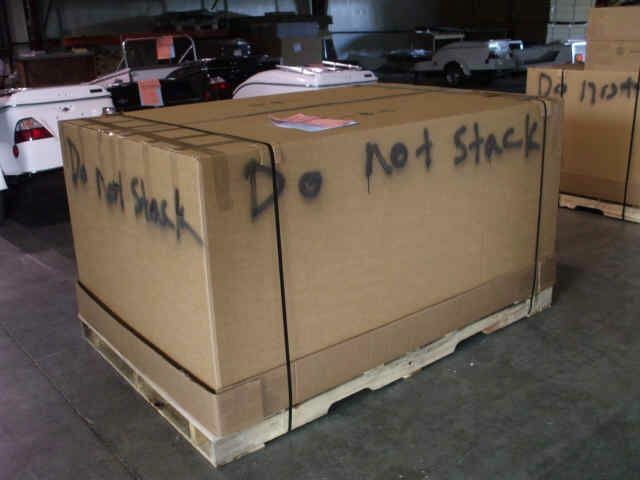 The Cycle Mate trailers are boxed and dimensions are 59"x45"x34" and each trailer is shipped at 250 lbs.